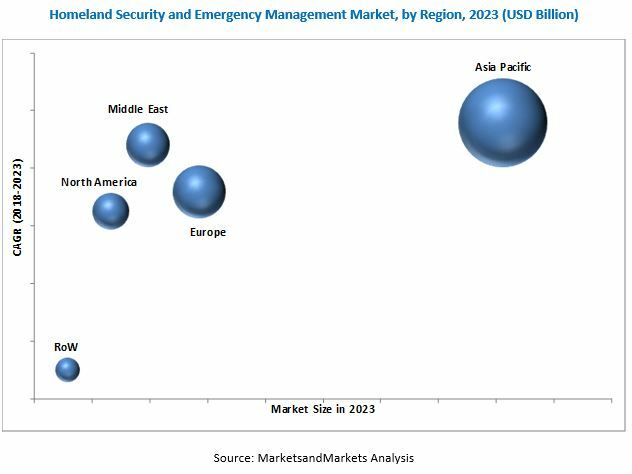 [234 Pages Report] The homeland security and emergency management market was valued at USD 526.10 Billion in 2017 and is projected to reach USD 742.06 Billion by 2023, at a CAGR of 5.90% during the forecast period. This report covers the forecast of the homeland security and emergency management market and its dynamics over the next five years, while also recognizing market application gaps, recent developments in the market, and high potential markets. The homeland security and emergency management market has been analyzed primarily on the basis of vertical (homeland security, emergency management), end use (law enforcement and intelligence gathering, risk and emergency services, border security, maritime security, aviation security, cyber security, critical infrastructure security, CBRNE security), system (intelligence and surveillance system, detection and monitoring system, weapon system, access control system, modeling and simulation, communication system, platform, rescue and recovery system, command and control system, countermeasure system, others), and region. The forecast period considered in this report is from 2018 to 2023, and 2017 is the base year. The ecosystem of the homeland security and emergency management market comprises public safety and security system manufacturers, cyber security vendors, systems integrators, and end users. Technology security solutions providers in the homeland security and emergency management market are Thales Group (France), BAE Systems (UK), Lockheed Martin (US), ATOS (France), Elbit Systems (Israel), General Dynamics (US), IBM (US), and others. The homeland security and emergency management market is projected to grow from an estimated USD 557.14 Billion in 2018 to USD 742.06 Billion by 2023, at a CAGR of 5.90% during the forecast period. The major factors that are expected to drive the growth of the homeland security and emergency management market are the rise in smart city initiatives that drive public safety and investments, the growing trend in the use of IoT in homeland security, and the rise in criminal activities and terrorist attacks. Furthermore, due to the emergence of big data analytics in cyber security, the adoption of cloud computing technologies in the cyber security industry, and the Artificial Intelligence (AI) innovations in border and public safety, the homeland security and emergency management market is expected to find significant opportunity for growth during the next 5 years. Based on vertical, the homeland security and emergency management market has been segmented into homeland security and emergency management. The homeland security segment of the homeland security and emergency management market is projected to grow at the highest CAGR during the forecast period. This growth can be attributed to the increasing crime rates and terrorist attacks, both, domestically and globally, as well as cyber attacks on government institutions and citizens. Based on system, the law enforcement and intelligence gathering segment is projected to lead the homeland security and emergency management market from 2018 to 2023. Law enforcement and intelligence gathering is further categorized into public management, VIP security, riot control, intelligence, surveillance, and reconnaissance, and others. The intelligence, surveillance, and reconnaissance subsegment is estimated to lead the law enforcement and intelligence gathering market and also projected to grow at the highest CAGR during the forecast period. This growth can be attributed to the increasing demand for intelligence, surveillance, and reconnaissance systems and equipment by the police, intelligence agencies, government organizations and other security agencies in order to collect information regarding various cases related to security. The Asia Pacific is expected to account for the largest market share of the homeland security and emergency management market and is also projected to grow at the highest rate during the forecast period. The threat of cross-border terrorism, cyber crime, piracy, drug trade, human trafficking, internal dissent, and separatist movements are factors driving the Asia Pacific homeland security and emergency management market. Although in the Asia Pacific market, China’s internal security spending is significantly higher than that of the US, it is of less interest for players as the market is restricted to western firms and also due to the rise in the demand for cyber security solutions across Small and Medium-sized Enterprises (SMEs), and growth in mobile and web-based applications for business-critical operations. The lack of competent security professionals and rapidly increasing insider cyber threats are key challenges to the growth of the homeland security and emergency management market. Key players operating in the homeland security and emergency management market include Lockheed Martin (US), Raytheon (US), Northrop Grumman (US), IBM (US), Elbit Systems (Israel), BAE Systems (UK), Thales Group (France), FLIR Systems (US), Unisys Corporation (US), SAIC (US), Leidos (US), Harris corporation (US), General Dynamics (US), CACI International (US), Hewlett-Packard (US), Booz Allen Hamilton (US), and Boeing (US). 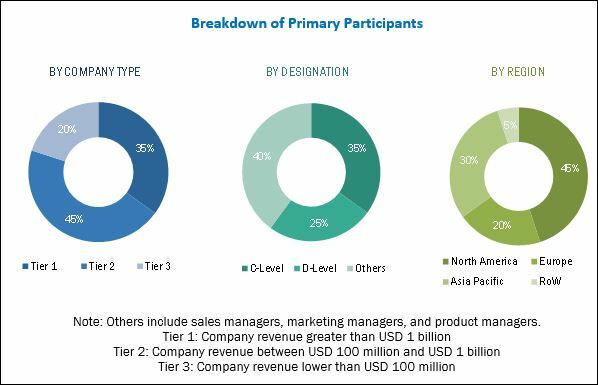 Leading market players are focused on the adoption of contracts as their key growth strategy to strengthen their footholds in the homeland security and emergency management market.